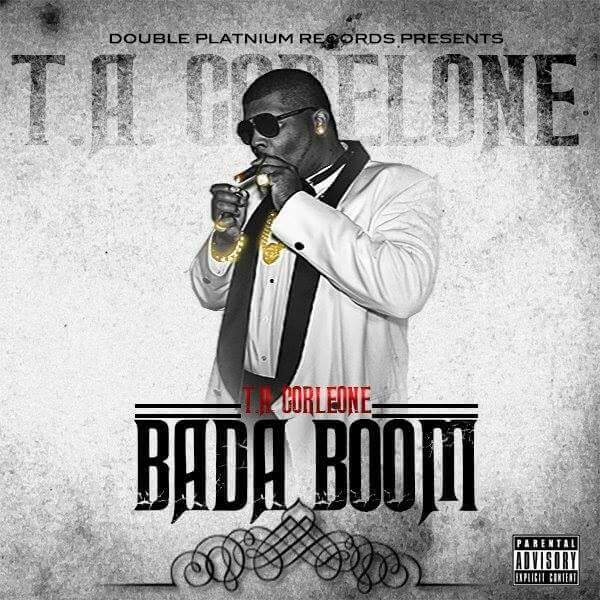 Independent hip hop artist T.A Corleone releases much anticipated single "BODA BOOM"
ATLANTA - May 13, 2016 - PRLog -- Highlighting his creative delivery and songwriting,T.A Corleone releases his much anticipated single "BODA BOOM". The Georgia native emerged as the CEO of Double Platinum Records signing independent hip hop artist Lil Tray and Brick. While promoting his label and artist, T.A Corleone began writing and recording his own music. A serious artist with alot to say, his new single "BODA BOOM" gives listeners a real, terrifying and graphic reality. The rhythmic, almost military percussion works as a stark contrast to the brutal reality of the song. Referencing drugs, poverty, and oppression. Issues presented in his daily ever more graphic life, this is the core to T.A Corleone's latest work "BODA BOOM". Gaining high praise from DJ's, radio and fans. "BODA BOOM" has been extremely well received with over 8k spins, world wide markets and national charting. His phenomenal sound and energy do a great job of engaging listeners, pulling you in and making you sit up and pay attention. "BODA BOOM" is available on all digital outlets including iTunes, Amazon, Google Play, and streaming on Spotify. Radio Airplay Now has over 60 years combined experience and helped thousands of major and independent recording artists.